After a career as a scientist with the National Research Council of Canada, Trafford author Eric Swanson pursued a literary goal and emerged a published author when he successfully published his first book, The First Candle. Swanson talked about the experience of self-publishing and more in this blog feature that he wrote himself. His book was also featured by Publishers Weekly in its book guide. Also, don’t forget to take a look at this article penned by the author himself where he talks about his passion for fantasy and spirituality as well as this blog post where he shares the lessons from his self-publishing journey with aspiring authors. As the title of the second book of her Spring Island trilogy says, Trafford author Sandra Steiner is choosing to cherish the moments given to her each day and continues to spread her message of hope and perseverance in Live for Today. A woman who has had to deal with immense grief with the passing of her daughter a decade ago, Steiner found catharsis in writing. With Cherish the Past and Live for Today already out in the market, Steiner is set to complete the trilogy with Dream for Tomorrow. Read on as she talks about her recovery from the tragedy that befell her as well as her books in this recent article that puts the spotlight on her. Also, check out how readers found her book with these recent book reviews. To read them, click here, here and here. Lastly, her books were featured in a holiday gift guide, which you can take a look here. The book Medical Uses of Marijuana, which was penned by Trafford author Joseph W. Jacob BA, MPA, was recently featured in Splash Magazine's holiday entertainment gift guide. A thoroughly researched book, Medical Uses of Marijuana provides an extensive chronological history of marijuana and its medical uses throughout the world in the last 10,000 years. The author also made a commanding case for his book in an article that was featured in the Essential Cyclist – a health, lifestyle and fitness publication – which you can take a look at here. Get a sneak peek into Trafford author Sandra Steiner's book Live for Today as it makes the rounds across several reputable blogs. Fans and book lovers alike got to learn more about the second book of Steiner's trilogy with an excerpt and a radio interview about the book and even uncovered 10 fun facts about the author. To see more of this book's blog tours, you can click here and here. The overall design of the book and its illustrations were also lauded. “Beautiful color illustrations present simple portraits of Kaiya and his Papa and other brothers and family members in this touching tribute to a beloved parent who suffered from Alzheimer's Disease,” said the review. The Creative Child Magazine has honored the Trafford book We’re Three: A Story About Families and The Only Child with the 2014 Preferred Choice Award. The book, which was penned by Vivian Cameron-Gallo and published back in 2008, has already garnered several distinctions, including the 2013 Preferred Choice Award, the 2010–2012 Book of the Year for Children’s Interactive Books, and the 2009 Seal of Excellence award by the aforementioned publication. To read the full article about We’re Three’s fantastic win, click here. Trafford author Christina L. Thomas was recently honored with a Royal Dragonfly Book Award in the Activity Books category for her book, Dear Little One. The Five Star Dragonfly Book Awards is a prestigious national contest recognizing exceptional authors for excellence in writing and publishing. The Royal Dragonfly Awards, in particular, focuses on children’s and adult literature in all genres. Trafford author Carolyn Fleming recently won the prestigious 2014 Eric Hoffer Book Award in the Legacy Fiction category for her book, Journey Proud. The Hoffer Award was named after American writer, Eric Hoffer, who is considered one of the most important thinkers of his time, and seeks to honor writers and independent books of exceptional merit. Journey Proud was also part of the shortlist for the Hoffer Grand Prize, which included another title from Trafford, Flames in the Ruins by Gerald Holt. The latter eventually claimed Honorable Mention honors in the Legacy Fiction category along with Heart & Soul by Trafford’s Brenda Meister. Other Trafford authors who were given Honorable Mentions include Carolyn and Jack Fleming for their book Thinking Places in the Legacy Nonfiction category, and Len Kurzawa for the book The Fundamental Force in the Reference category. Trafford author Albert B. Fonluce had his book Time to Move On reviewed recently by Kirkus Reviews. The book was described by Kirkus as “an exploration of the post-2008 global economic crisis that’s not for the fainthearted.” To view the complete review, you can click here. Jenny La Sala’s book Comes a Soldier’s Whisper was featured recently in dcmilitary.com. What started out as a family project composed of a heartwarming wartime letters between La Sala’s parents has blossomed into an avenue for healing for wounded warriors dealing with post-traumatic stress syndrome. Divorce can be a harsh thing to go through, for both the parents and especially the kids. 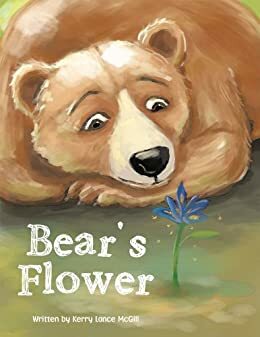 Trafford author Kerry Lance McGill tackles this sensitive topic in his book Bear’s Flower. The book, which was made for the author’s daughter, was recently featured in the pages of the Ardmoreite and the Deseret News National. Hailed as a genuinely intimate look into the Great War era, Jenny LaSala’s book Comes a Soldier’s Whisper gives readers the chance to connect with the experiences of some of the darkest days in modern history. Given recognition by two military writing websites War History Online and military-writers.com, LaSala’s words have surely inspired many and will continue to do so for years to come.